My father comes into focus for me on a Liars' Club afternoon. He sits at a wobbly card table weighed down by a bottle. Even now the scene seems so real to me that I can't but write it in the present tense. Mary Karr grew up in a swampy East Texas refinery town in a volatile and defiantly loving family. In this funny, devastating, haunting memoir and with a raw and often painful honesty, she looks back at life with a painter mother, seven times married, whose outlaw spirit could tip over into psychosis, and a hard-drinking, fist-swinging father who liked nothing better than to spin tales with his cronies at the Liars' Club. 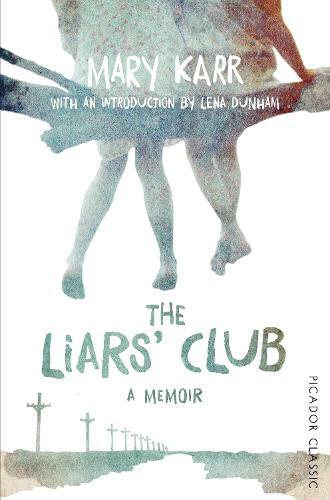 When it was published in 1995, The Liars' Club raised the art of memoir to a new level and brought about a dramatic revival of the form. It is a classic that paints a harsh world redeemed by Karr's warmth, intelligent humour and finely spun prose; The Liars' Club is both heart-stopping and heart-felt.